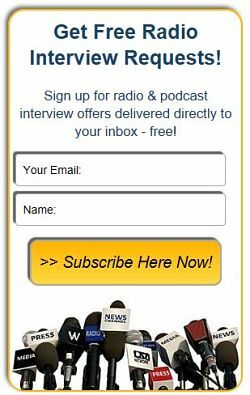 Payment for Publicist and PR Firm Sponsorships - Radio Guest List.com - How to Get Radio Interviews and Find Podcast Guests! Thank you for submitting your advertising information. “Featured” PR firms are displayed in a highlighted box with a large logo graphic at the top of the page. They are listed in first come, first served order. These PR firms get smaller logos and are listed in alphabetical order below the Featured box listings in Level One above. After we have received your complete ad info and payment, it usually takes us 3-5 business days to post your listing. Please note that there is both an initial set-up charge and a monthly recurring charge for maintaining your ad on RadioGuestList.com.